The Alliance of Women Film Journalists announced the nominations for the AWFJ EDA Awards 2018 with The Favourite leading with 11 nominations. The winners will be announced on January 10, 2019. 82 women who stood on the Palais des Festivals steps at the Cannes Film Festival to protest gender inequality in festival programming. Ava DuVernay for hiring women filmmakers for QUEEN SUGAR and other projects. Megan Ellison for challenging the status quo and producing projects by unique and diverse voices. Nicole Kidman for a banner year of performances in DESTROYER, BOY ERASED and AQUAMAN, and for opening opportunity or women in production. Rachel Morrison for paving the road for women cinematographers with her Oscar nomination for MUDBOUND and scoring as DP on BLACK PANTHER. Shondra Rhimes, Reese Witherspoon and all the women speaking out in the #MeToo movement. Melissa McCarthy – Everything except CAN YOU EVER FORGIVE ME? The AWFJ EDA Awards 2018 will be announced on January 10, 2019. 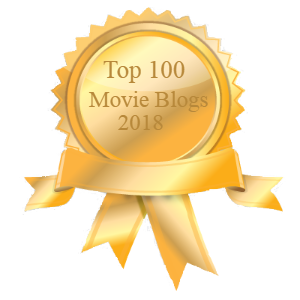 The post AWFJ Announces EDA Awards 2018 Nominations appeared first on Solzy at the Movies.